Hello fellow readers of Blast Away! This is Devon here; giving you a review of another gaming product in the V-MODA Crossfade M100. A crowd sourced headphone, V-MODA took all the lessons learned from its LP series to create their top of the line headphone. Designed to compete with the likes of Beats, Audio Technical, Sony and others, VMODA boasts true ‘Reference Class Sound For the Modern Audiophile’. 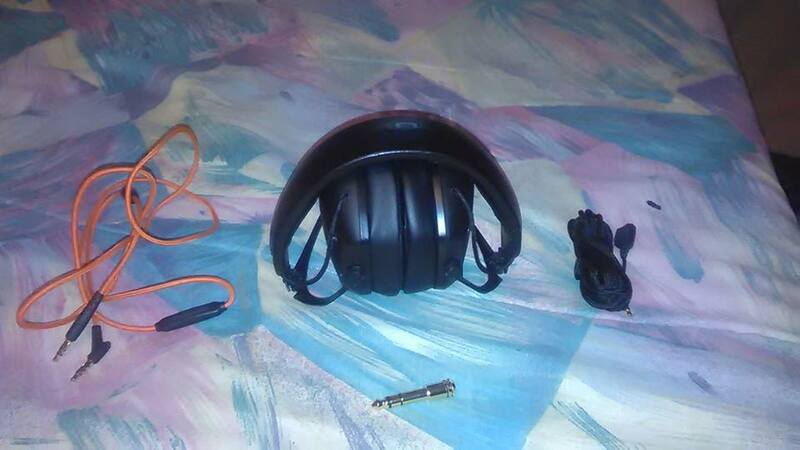 Priced at $300, it is more than some would pay for in a headphone, but at the same time its an absolute steal. If you want to find out why the Crossfade M100 is easily the best $300 to spend, read on to find out! Upon holding the Crossfade M100, I could easily tell how much V-MODA was out to prove this headphone was a cut above the rest; style and simplicity to boot. There is a tremendous amount of detail throughout, such as its fold in mechanism, stitched headband, dual sided 3.5mm input, kevlar braided cable and soft earpads. To top it all off, V-MODA has something called ‘Shield Plates’ on the sides of the headphone. They are accessories you can add onto the Crossfade M100 through just basic colors or through their official site using your own patterns. It is quite nice to have a company sympathize with the audience geared towards personalization. On top of the headband lies the V-MODA branding. In addition, inside the box, the headphone comes with its own weatherproof case that houses a 1/4 inch adapter for hi-fi gear and something known as a V-Cork to prevent dust and dirt build up from the side of the headphone you are not using. My only complaint is that were are not given the tool needed to remove the Shield Plates. The M100 looks just are not for show either. Tested beyond military standards according to VMODA, the M100 should easily be able to handle anything type of abuse. Even throwing these on the floor only resulted in the folding mechanism to fold one of the sides of the headphone. Not only is the headphone built like a tank, so is the cable. Using military grade Kevlar, bending this in any shape or form didn’t short any audio frequencies during testing. My only complaint with this is that the cables are partially exposed; potentially resulting into some snags on surfaces by accident. Much like the build quality though, the comfort is quite stellar. To my ears, the pads provide an generous amount of comfort without my ears touching the drivers. However, for others, the padding may not be enough. 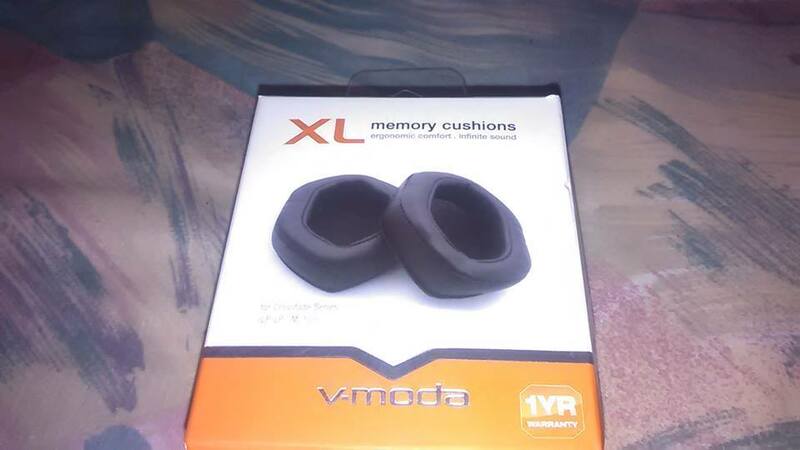 VMODA does offer an optional XL Earpad option for $20, but it would have been nice to include a thicker set of default pads or include this option to start out with. The Crossfade M100 has quite an impressive feature set. Being able to connect to any 3.5mm compatible device isn’t impressive, but its dual inputs are. You can use either side as a source for your audio; adding more personalization from the headphones. For me, this is good because my preferred side is the right as opposed to the left. Furthermore, you can remove the V-Cork to add another headphone towards the mix for two or use VMODA’s provided SharePlay Cable to add length and add an additional headphone for three total. One thing of note though; check your headphones impedance rating. If your headphone has a higher impedance than 32, the Share-Play feature will not work properly. Moving along is something V-MODA calls a CLIQFOLD hinge; making it the most portable headphone we at Blast Away have tested. Essentially, both earcups can be folded into the headphone itself. 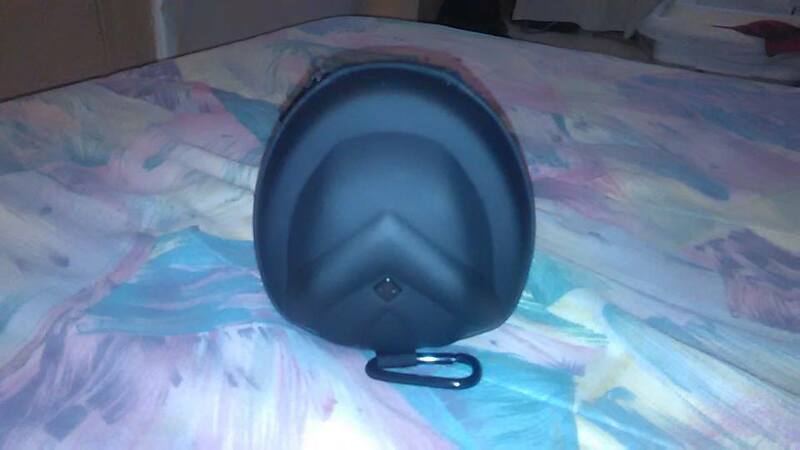 This allows for excellent portability for any type of bag or other form of transportation. Now for the most important piece of the review; sound performance. V-MODA claims that their patented dual diaphragm drivers for the Crossfade M100 are more well rounded and balanced out in sound than their LP series of headphones thanks to over 200 musical professionals and audio enthusiast feedback; using a port system for what they call ‘3D Airflow’ to increase sound-stage, detail and clarity as icing on the cake. While I didn’t have the LP series on hand, I was curious to see if the Crossfade M100 could live up towards my expectations. I have to say, coming from headphones such as NADs HP 50, Sony’s recently released MDR1A, and Audio Technicas MSR7, the Crossfade M100 was exceptional and held its own quite well. Firing up Iron Maidens ‘The Number of The Beast’, the M100 delivered; handling the symbol crashes and violent guitar riffs with excellent clarity and separation. Dubstep tracks, such as ‘Kansas City Winter’, the Crossfade M100 handled the expansive bass drops and aggressive sound loops with ease. Stevie Wonders ‘Higher Ground’ was incredible. The sound stage made feel as if I could feel every symbol crash and guitar pick being played; Stevie handling the rhythmic tone as well. The sound signature of the M100 is laid back but retains enough detail, clarity, separation, and sound stage to make audio less fatuiging and pleasing to the ears. Using a Astro Mixamp using Dolby Pro Logic IIx for Advanced Warfare, the Crossfade M100s sweet, yet detailed and wide sound-stage allowed me to pick out enemies quite well even without Dolby Headphone. Engaging Dolby Headphone technology enabled me to pick up every detail possible; so much so that I was able to obtain victories for my team often in 1v4 situations. Other games such as Zone of the Enders HD Collection or Ni No Kuni also delivered beautifully pleasing results. While the aforementioned headphones do out place the Crossfade M100s in some areas, such as the HP50’s sound-stage and detail, MDR1As tonal balance, and MSR1’s clarity, they don’t provide enough of these superior qualities to knock the Crossfade M100s outright; their own problems to boot, such as the HP50s having excellent bass control, but lacking bass decay, the MDR1A’s well rounded sound signature or lack of clarity and detail, or the MSR7 excellent detail but poor harshness on violent tracks. All in all, the Crossfade V-MODA doesn’t have the perfect sound, but it also doesn’t have a headphone capable of countering it either. To sum it up, the Crossfade M100 is V-MODA’s Killer App. Much like a US Army Combat Knife forged from the most pristine of materials, the M100 doesn’t aspire perfection towards one particular area, but does everything exceptionally well; so much so that the M100 is my go to headphone. $300 isn’t something people would consider, but considering the Beats Studio garners the same price tag, it isn’t too far off. With its impressive aesthetics, exceptional durability, great comfort, tremendous personalization, superb feature set, and well crafted sound, those who want the rare complete package need to look no further than the M100. 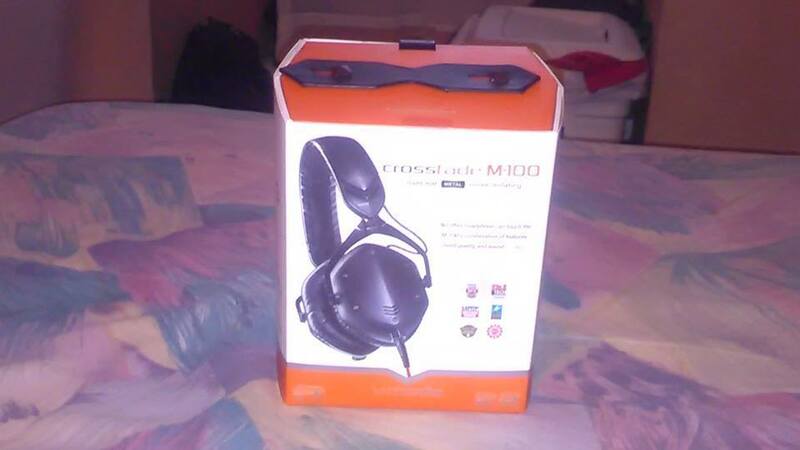 That being said, we here at Blast Away The Game Review give the V-MODA Crossfade M100 a perfect 10/10. It is also the first gaming accessory at Blast Away the Game Review to ever earn this award. Thank you for reading! This has been Devon, giving you a product review. If you have any questions or comments, feel free to ask! Until next time, this Devon Day and I will catch you guys later. A man growing up between the gaming boundaries on the 5th generation Nintendo 64, but admiring the 3rd gen. Nintendo Entertainment System and 4th generation Sega Genesis for their contributions, Devon Day always has something on his mind regarding video games and the accessories they contain. His first was a microphone for the Nintendo 64 for the “Hey You, Pikachu!” video game, but expanded towards the next line up of gaming peripherals including the Astro A40, MadCatz MLG Pro Circiut Controller, MadCatz STRIKE 7, and many other gaming gadgets. Now loving gaming tech more than ever, he sees this generation crucial to bring the full circle of social connectivity that the 7th. generation of video game consoles started.